"When you have a car like this that is tricked out so to speak, it's kind of rare to see a theft"
Detectives say someone pried open a garage door at a transmission shop and drove away with a classic. 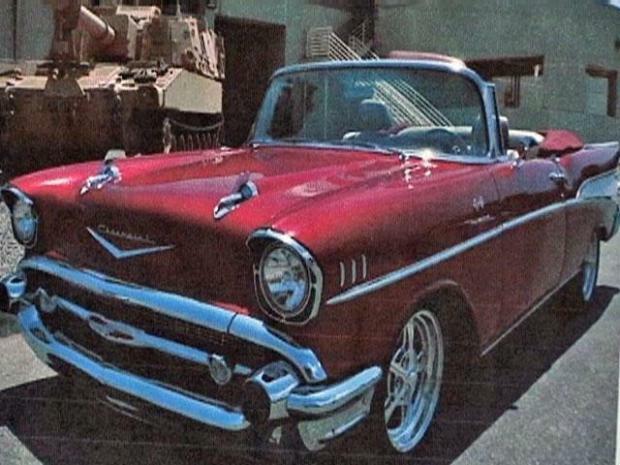 A custom 1957 Chevrolet Bel Air was stolen from the shop in the 7500 block of Reseda Boulevard early Wednesday in Reseda, according to detectives. Estimated dollar value of the red convertible: $150,000, according to police. "That's the casket," said Leon's shop employee Chad Ferrell, of the bay from which the vehicle was stolen. "The car's a beautiful car. It's a staple in the community. "The boss is very generous with it. He lets me drive it. You don't have to be good looking in that car. You go down the street and everybody's going to look." "You Don't Have to Look Good in That Car"
A stolen 1957 Chevy Bel Air turns heads all by itself. The case was classified as a commerical theft because the car belonged to the transmission shop. The car features extensive customizations including a stainless steel gas tank, customized leather seats and Mercedes-Benz tan wool carpeting. 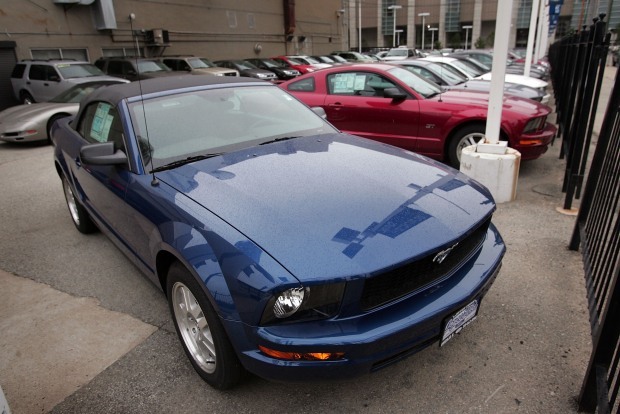 "There's a high market overseas for these cars right now," said Lt. Ed Pape. "There's also a lot being sold on the black market. "Because this car is so customized, it's got a specialized gas tank that has chrome, the engine is all chrome, they can be sold at a very high dollar amount." Ferrell said he's hopeful it will be returned, but he says it's not likely considering similar cases. Gordon Dudley's 57 Chevy Bel Air coupe was stolen from a Westminster parking lot more than a year ago. "The cars are just disappearing," he said. "It's not like they're turning up in pieces anywhere, or turning up repainted." Police said the Reseda hit probably took less than eight minutes. Police said the owner was at the shop within minutes of the shop's burglar alarm sounding. Anyone with information can contact Detective Debbie Potter of the West Valley Station at 818-374-7720.